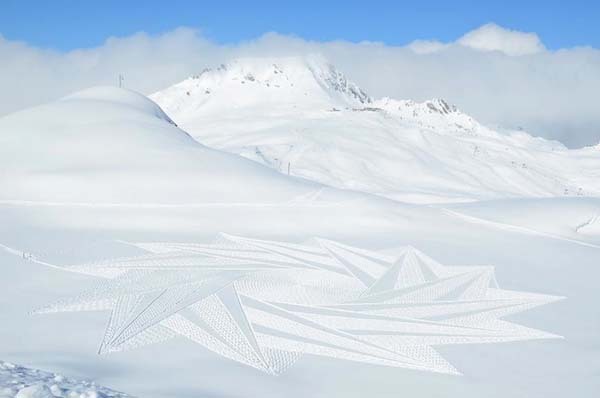 Amazing Snow Art by Simon Beck! 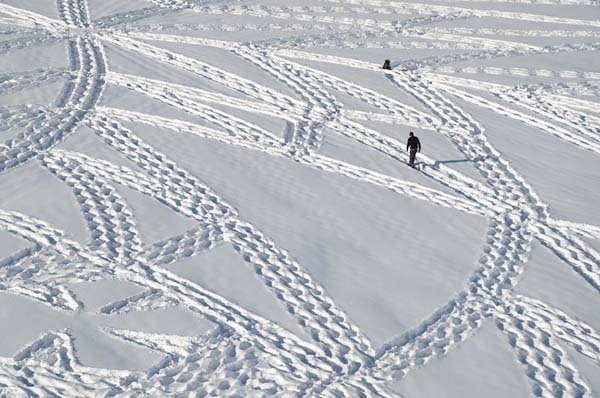 If you are skiing and you see Simon Beck walking around on the fresh snow do not think that something is wrong with him and wait for a couple of hours to see the result. 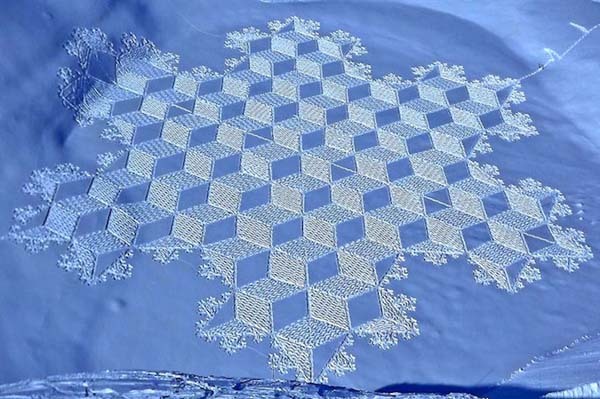 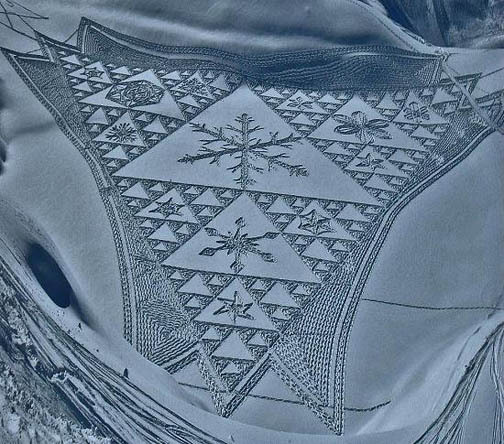 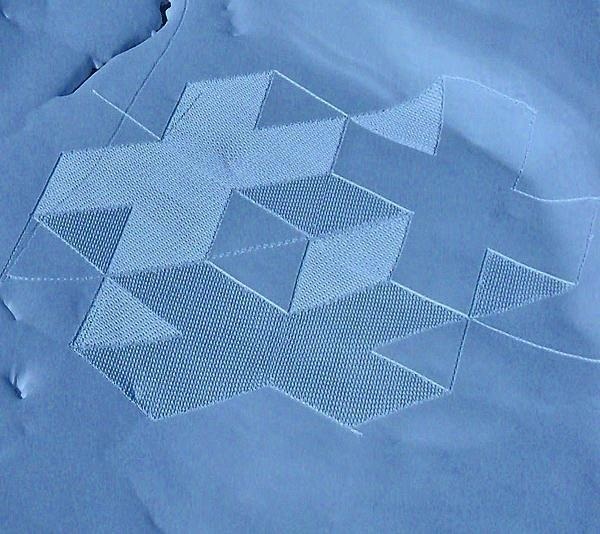 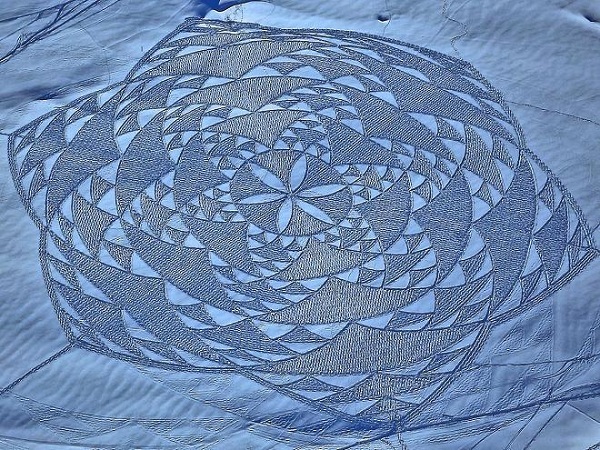 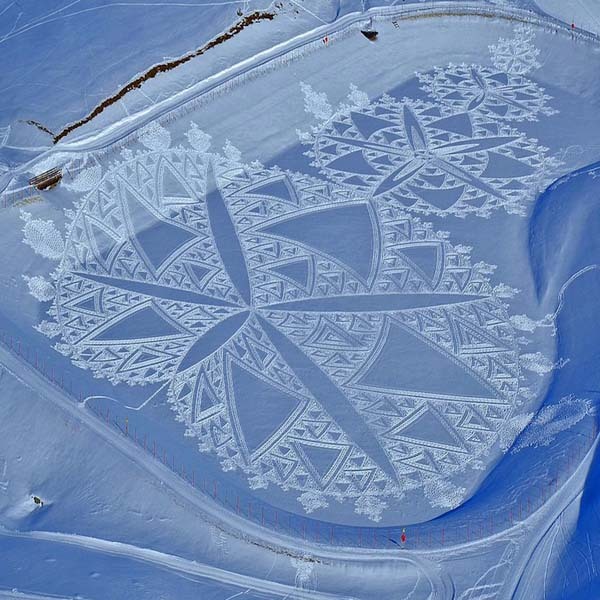 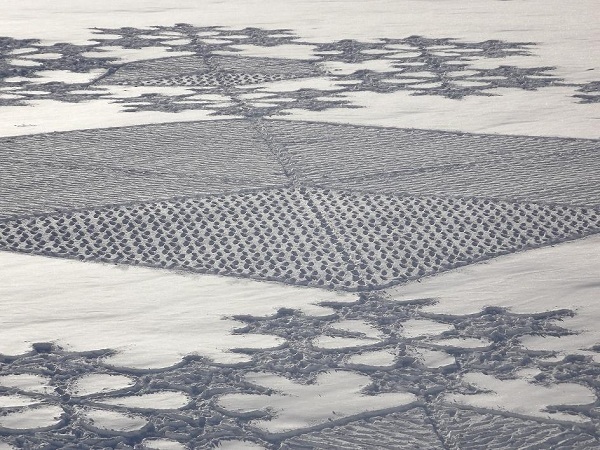 Beck is a unique artist that creates one of a kind designs on the snow. 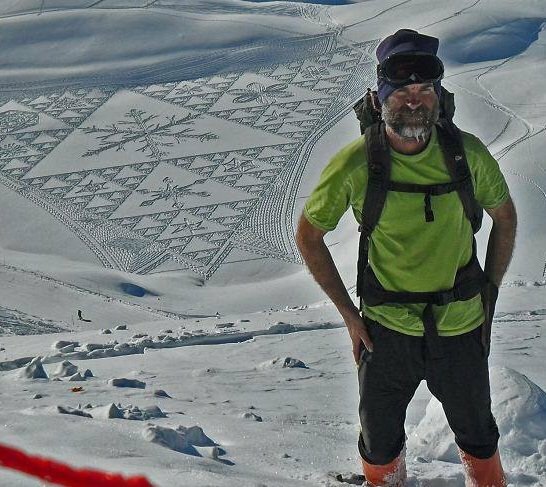 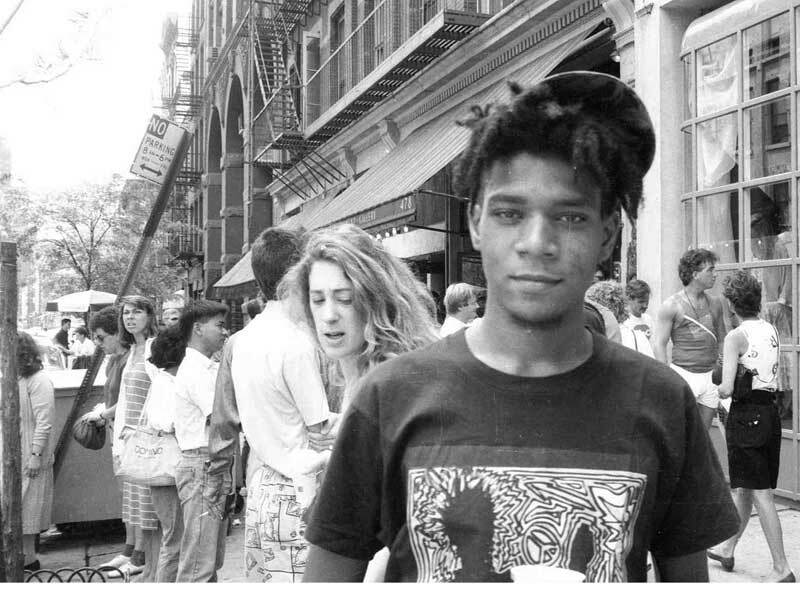 As he confesses everything started back in 2004 one evening while he was skiing. 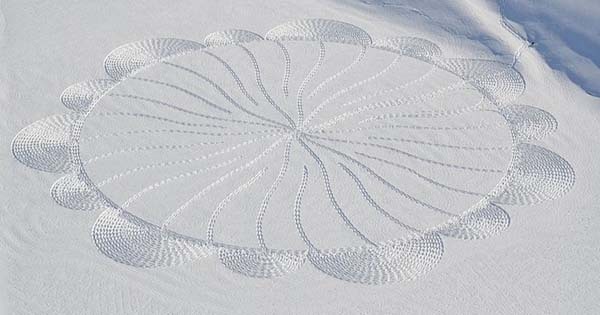 He is a huge fan of sports and very active so the 5 to 9 hours needed to create his masterpieces are something usual for him. 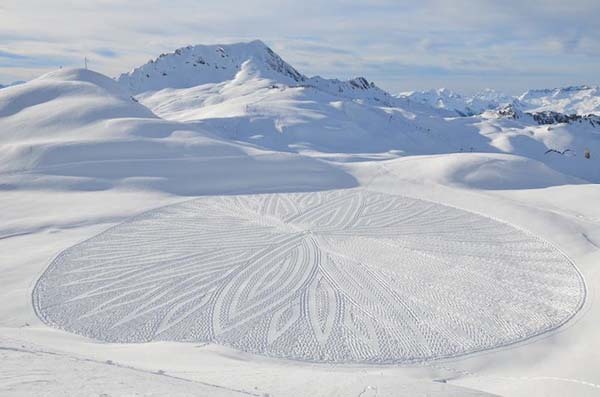 Most of his work that you have the chance to see to the pictures below was created in Les Arcs ski resort that is located in France, where he owns an apartment. 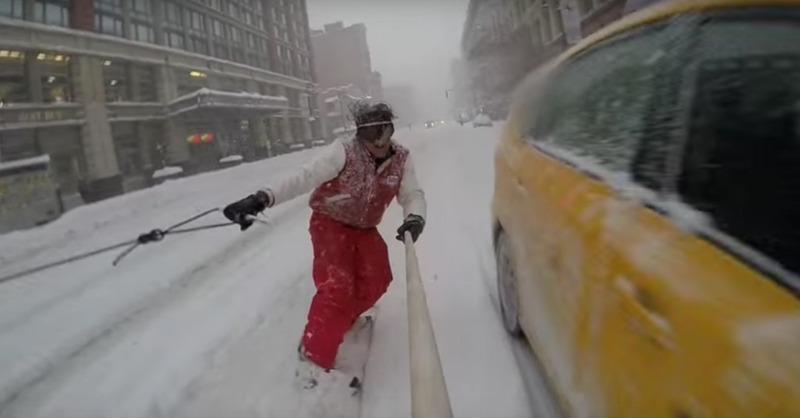 Snowboarding Through the Empty Streets of New York!